[Update] DOOM is now available for pre-order on the US Xbox Store, with the same pre-order bonuses as in Australia. 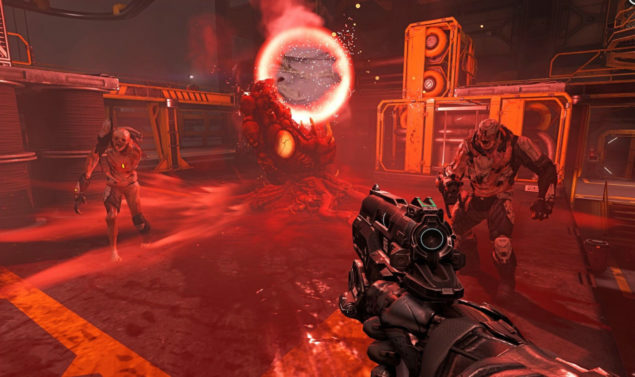 [Original Story] DOOM, the new entry of the series developed by id Software, is finally getting released in just a few months and publisher Bethesda has been sharing more on the game these past few weeks. Today, the highly anticipated first person game has been made available for pre-order on the Australian Xbox Store and some very interesting digital pre-order bonuses have been confirmed. All those who will purchase DOOM digitally before release, will also receive the classic Doom and Doom II for free. This seems to be a limited time offer so make sure to pre-order the game as soon as possible if you want to play these two classics. Bundle Description:For a limited time, pre-order DOOM and receive DOOM I and DOOM II. The codes will be delivered to your Xbox message center in 7-10 days. You can redeem your codes on Xbox One or at xbox.com/redeemcode. Additionally, all those who pre-order the game on the Xbox Store will also receive the Demon Multiplayer packs, which includes one Demon themed armor set with three shin variants and more. Pre-order now and also receive the Demon Multiplayer Pack, which includes one, unique Demon-themed armor set with three skin variations, six Hack Modules—one-use consumable perks—six exclusive metallic paint colors, and three id® logo patterns that can be applied to weapons and armor. Last week new details on DOOM have surfaced online last month thanks to players data mining the game’s closed alpha. Judging from what has been discovered, some of the series’ most popular demons will be coming back in the new game. New details have also emergedon the modding tools names idStudio, which is going to be quite powerful, with its own scripting, action chaning, map tools and much more. DOOM launches on PC, PlayStation 4 and Xbox One on May 13th.